We are hard at work putting together a lineup of entertaining and informative presenters and special guests for the 2014 Southern-Fried Gameroom Expo. The multimedia auditorium at the Marriott Century Center is a great space for us to feature some fantastic speakers and presentations, and we will be making the most of it! We are still in the planning stages and in negotiations with several potential special guests. Once they are confirmed, special guest speakers will be listed below. Currently all guest speaker slots are full. However, if you wish to be considered for next year’s show, please email us to let us know. Mr. Oursler is a legendary game designer in the pinball industry. In his many years as an employee at Williams Electronics, Barry was responsible for bringing some of the best-selling pinball games in history to market. Just some of his incredible designs and collaborations include Gorgar, Solar Fire, PINBOT, Comet, Dr. Who, Bram Stoker’s Dracula, JunkYard, and more! It is one of his designs, Space Shuttle, that has been credited with bringing excitement and renewed interest back into pinball after the video arcade craze of the early 1980’s nearly crippled the industry. In 2014 we celebrate the 30th-anniversary of this revolutionary game and this titan of pinball design! Stern Pinball’s newest game designer is no stranger to the industry. Having produced many blockbuster games over the years with numerous manufacturers such as Chicago Coin, Gottlieb/Premier, and Bally Midway/Williams, John Trudeau continues to leave his mark in the coin-op world. With such hits as Creature from the Black Lagoon, Bride of Pinbot, along with fan favorites Congo, Black Rose, Judge Dredd, and TX sector (plus many, many more! ), John brings a wealth of knowledge and experience to any game he designs. We look forward to having such a luminary share his stories as our guest at Southern-Fried Gameroom Expo! Owner of two public arcades, host of the web show “Arcade Culture,” Kong-Off organizer, and World Record holder of seven classic arcade games like Space Invaders and Phoenix, Richie Knucklez is a retro gaming legend. In the new documentary feature film “The King of Arcades” From director Sean Tiedeman and Co-Producer Adam F. Goldberg (ABC’s “The Goldbergs,” “Fanboys“), we will see how Richie has earned the crown he so rightly deserves. Be sure to come watch one of the first public screenings of “The King of Arcades” followed immediately by a Q&A session Friday night. On February 14, 2013, George Leutz set out to break a high score record on the classic arcade game Q*Bert that stood for over 30 years. One quarter and 84 hours later, George would set a new Guiness World Record on February 18, solidifying his status as one of classic gaming’s elite. George’s accomplishment took mainstream media by storm with coverage on Kotaku, NPR’s Morning Edition, and Late Night with Jimmy Fallon. Josh knows games, particularly mobile games. He made his first game when he was 12 years old. After getting his Undergraduate at Georgia Tech, he became Blue Heat Games first employee, where he was solely responsible for Blue Heat’s biggest financial and editorial successes, including Snoop Dogg Boxing, MLB Slam!, NHL 5 on 5, and NBA Basketball 2005, all of which received IGN Editor’s Choice awards. In 2005, he moved to Odessa, Ukraine, where he received an international executive MBA and became Director of Business Development at Iceblick Ltd, the world’s largest producer of noble gases. In 2010 he moved back to the United States to found Drowning Monkeys Games. Drowning Monkey’s released Dungeon Crawler, a #1 iOs RPG. Jimmy has been playing pinball almost since he could walk. Growing up, he always dreamed of having his own machine instead of spending all of his allowance at the Fun-N-Games. As the years went by, Jimmy started gradually collecting games. One day, Jimmy realized that he could combine another passion, software programming, with his pinball passion. Since then, Jimmy has created a pinball 2000 version of Demolition Man and contributed to multiple other pinball projects such as Multimorphic’s P3, Predator and Cactus Canyon Continued. Britt has always wanted to create videos games since he was a young boy. He met a couple guys, Matt Gold and Ian Phillpotts, while competing at Global Jam 2011 and has continued to compete and create indie games with the group winning 5 out of 7 of the Jams. One of those winning games was Default Dan, which has already received 10million+ YouTube views from multiple videos of people playing the Alpha. He is continuing to work with the group to complete the final version and release later this year, playing the project manager, marketing, and PR role for the team. Bursting on the scene in 1980, PAC-MAN™ ate his way into the hearts of people worldwide by consuming ghosts, power pellets, and billions of quarters along the way! PAC-MAN™ has since become a cultural icon with his own lunchboxes, cereal, a television cartoon, and more! PAC-MAN™ is one of the highest-grossing video games of all time, and has the highest brand recognition of any video game characters! Come meet and have your picture taken with the legend himself at the Southern-Fried Gameroom Expo! Look for Pac-Man on Friday and Saturday at SFGE. The Georgia Garrison of of the 501st Legion is being deployed to Southern-Fried Gameroom Expo! The Georgia Garrison is a regional chapter of the 501st Legion. The 501st is a world wide Star Wars costuming club, with over 5,000 active members in 21 countries, and six continents, which focuses on the costumes of the “bad guys” from the Star Wars movies such as the Stormtroopers, Tie Pilots, and Darth Vader. The Legion’s aims are to celebrate the Star Wars movies through the wearing of costumes, to promote the quality and improvement of costumes and props, and most importantly to contribute to the local community through charity and volunteer work. They will be onsite to ensure the Star Wars tournaments are not being compromised by rebel scum. As hosts of the Gameroom Junkies Podcast, Preston and Patrick talk feverishly about a topic they love – gamerooms and the games inside. 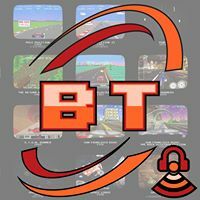 For well over two years, these guys have recorded monthly episodes of their podcast to talk about their love of the hobby, conduct interviews with enthusiasts and industry experts alike, and answer questions about collecting, repairing, and restoring these classic games from their youth. Preston and his obsession has been featured in news articles, radio spots, and on Discovery Channel’s television show Auction Kings. Together, the Gameroom Junkies have been featured on PodCrash! with Attack of the Show’s Chris Gore and on AVClub.com. When not talking about or playing games, they are busy planning for the Southern-Fried Gameroom Expo as part of the organizing team. Jonathan Leung is a founder / staff member of the Arcade Repair Tips (http://www.arcaderepairtips.com) website and has over 13 years experience in the coin-operated machine industry. Jonathan (along with co-founder Tim Peterson) launched Arcade Repair Tips in 2008 as a resource to provide general information on arcade repair to the public. Since that time, they have produced over 50 videos as part of their ArcadeRepair Tips Video Series and answered hundreds of emails on their Question & Answer Podcast. They have also been featured in numerous media outlets including Replay Magazine and the Geeks On The Mic podcast. With their keep it simple approach and positive attitude, Arcade Repair Tips gives even the most confused beginner the skills and the confidence they need to do their own repairs. A podcast, a commentary, a man out of quarters. Nate Shivers is a force of nature, recording over 80 episodes of his podcast, “Coast 2 Coast Pinball” in less than a year. Traveling literally coast to coast, Nate regales listeners with trip reports, industry speculation, forum static, passionate pinball talk, and more.